A class representative has a huge responsibility; they are the voice of their class. 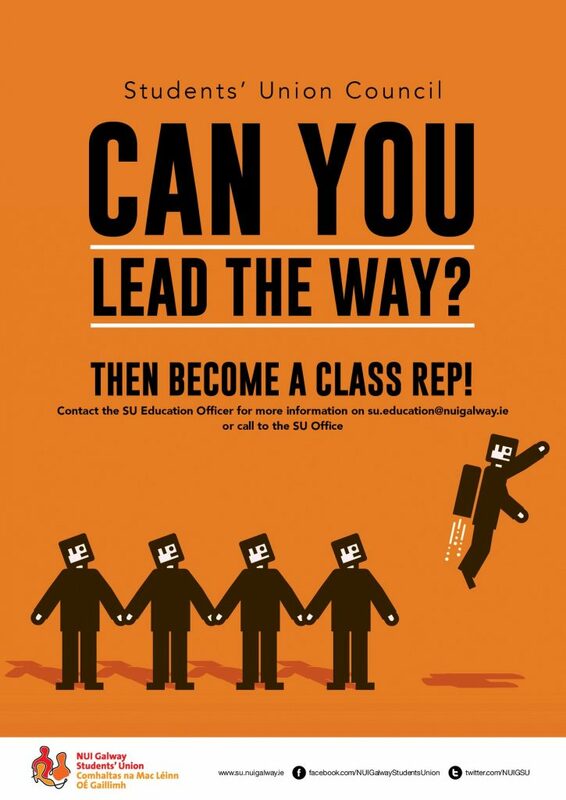 Second year Law class representative Eimear Spain gave SIN an insight into the responsibilities of a class rep.
“I ran for class rep because I thought it would be a brilliant way to get to know my class and I also loved getting involved and helping others,” she says. Students not only face off against issues regarding college, whether it’s a difficult assignment or they are unsure of the content in their lectures, but also with issues regarding their own personal life. No matter what the issue is, the class representative is there for a lot more reasons other than just helping out with college queries; they are a shoulder to lean on. It is important for the students to have a good relationship with their class representatives, that way friendships can develop and approaching any class rep in general will seem a lot easier if you talk frequently. Do not hesitate to talk to any of your class representatives, they may be the voice of your entire class, but they are also just like you, a student. A student who is there as that extra support, one who will listen to your problems and assist in helping you resolve them in any way possible. That is what being a class rep is all about, they are an unknown friend in the crowd.